Oracle, 1983. 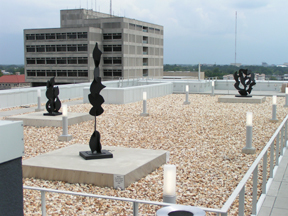 Painted steel, 74 x 55 x 85 inches. 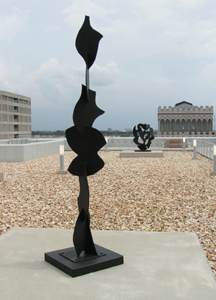 Totem #2, 2004. 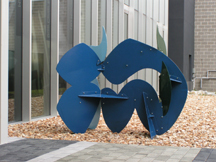 Painted steel, 98 x 22 x 24 inches. 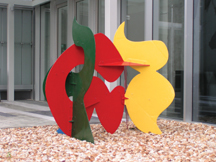 Screen Sculpture #84, 1997. 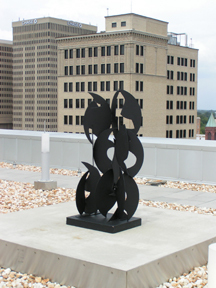 Painted steel, 69 x 29 x 52 inches. 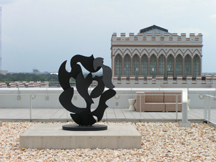 Screen Sculpture #67, 1995. Painted steel, 61 x 26 x 21 inches.